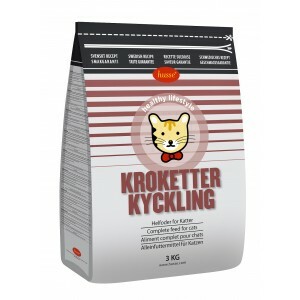 Complete super-premium food for adult cats. 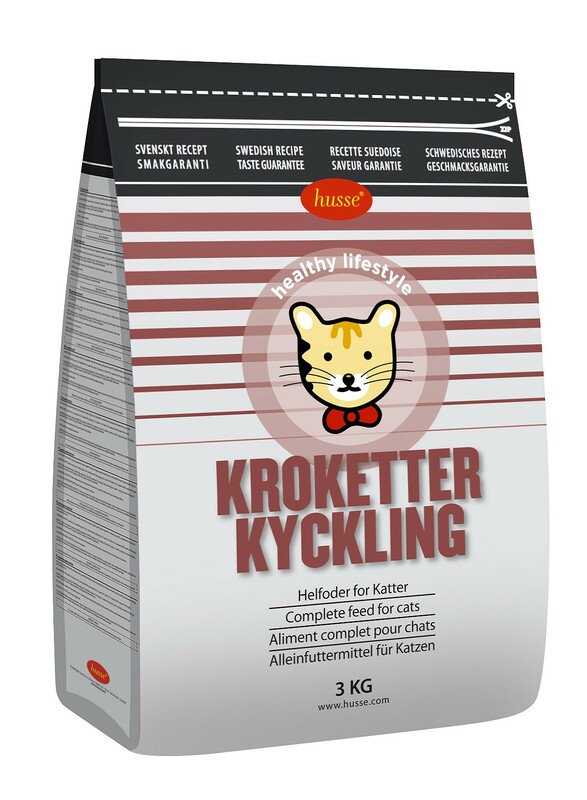 Chicken Croquettes is rich in animal proteins and supplemented with taurine, vital for keeping your cat’s eyes, heart and reproductive organs healthy. 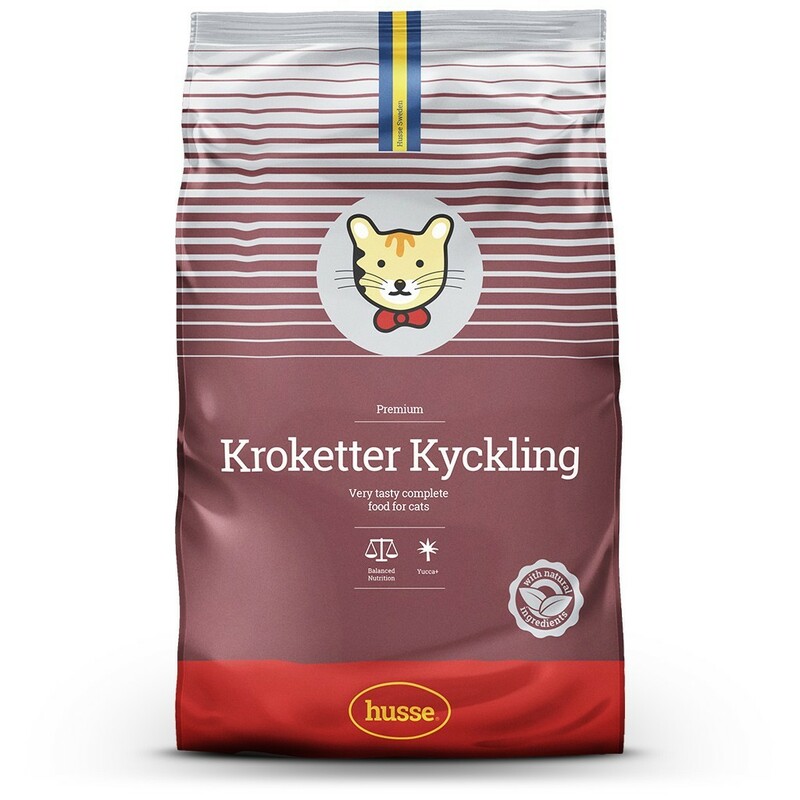 Meat and animal derivatives, cereals, derivatives of vegetable origin, oils and fats, vegetables, minerals, fish and fish derivates, yeast, Yucca extract. Vitamin A 30 000 IU/kg, vitamin D 1500 IU/kg, vitamin E 150 mg/kg, E1 (iron) 60 mg/kg, E2 (iodine) 2 mg/kg, E4 (copper) 10 mg/kg, E5 (manganese) 85 mg/kg, E6 (zinc) 95 mg/kg, E8 selenium 0.2 mg/kg; Colourants; Antioxidants.